In my short-time blogging, it seems as if we become consumed with the "up and coming", that I often wonder, where does last season's (let alone older) collections go to die? Consequently, for some time, I've been toying with the idea of doing posts on products that are loved (or not), but no longer available. Hence, enter stage left the "Gone, But Not Forgotten" series. 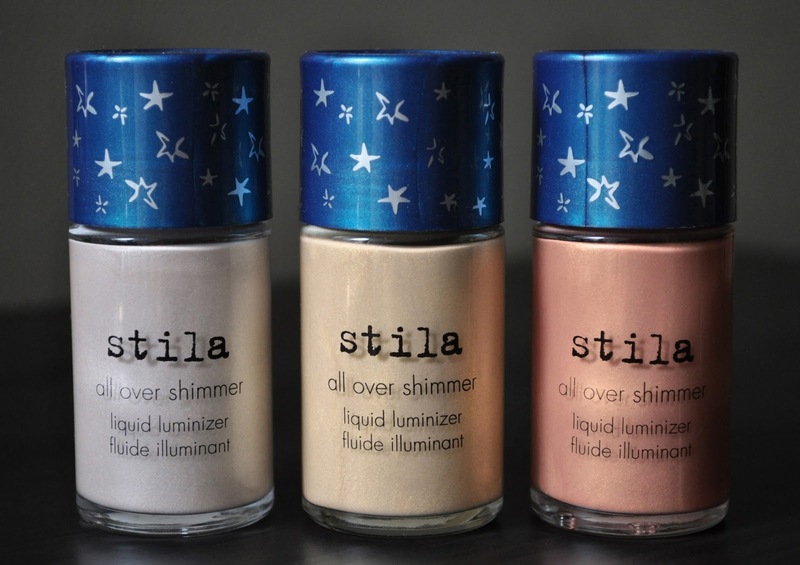 Stila's all over shimmer liquid luminizer can be worn alone, mixed with moisturizers, primers, bb creams, tinted moisturizers, foundations (the list goes on-and-on), or over said products to provide a luminous glow to the skin. The nail polish inspired brush applicator. #1: a pearly, off-white with a beige tinge and silvery-white shimmers. #3: a pale, yellow-gold with gold shimmers. 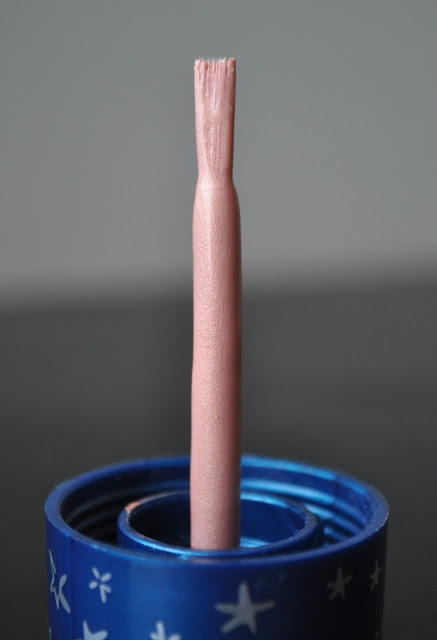 #6: a pale, pinkish-peach with a golden sheen and gold shimmers (and my favorite of the three). 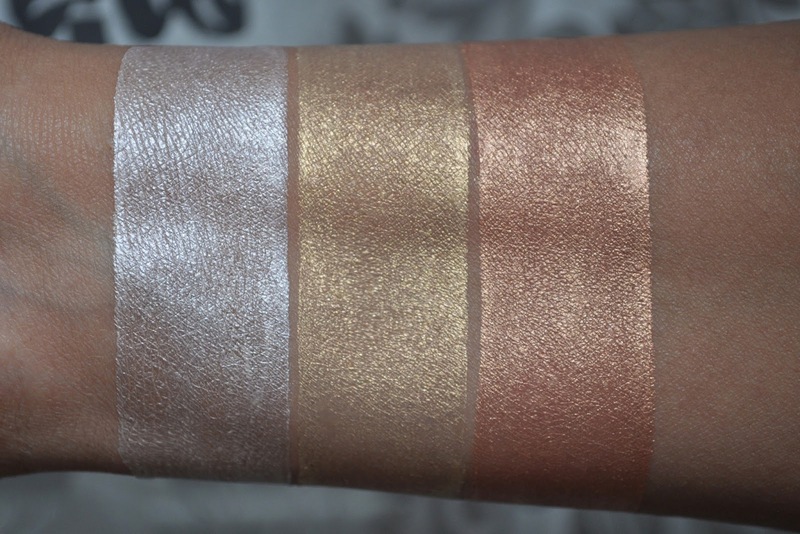 All three of these luminizers have micro-shimmers (#3 containing the most), but the shimmers are fine, and not so excessive, that you don't look like you went a few rounds with Gary Glitter, and lost. I'm not sure if Stila has reformulated the all over shimmer liquid luminizers, but the brand has revamped the color selection and the exterior packaging (keeping the brush tip applicator). Although these shades are no longer available, you can find them on ebay or allcosmeticswholesale.com.